The transactions page (1) shows the history of all the payments made to your Rave account. Using the filter option (2), you can narrow down the selection of the transactions shown. 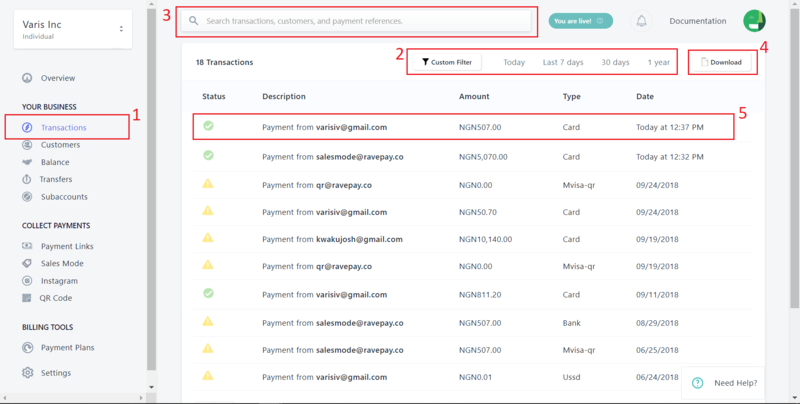 You can also use the search feature (3) to search for a particular customer's name or email, or even a transaction reference. If you like to download a report of your transactions in CSV format, click the download button (4). To go deeper into the details of a transaction and see the transaction insights, select the desired transaction (5 above). 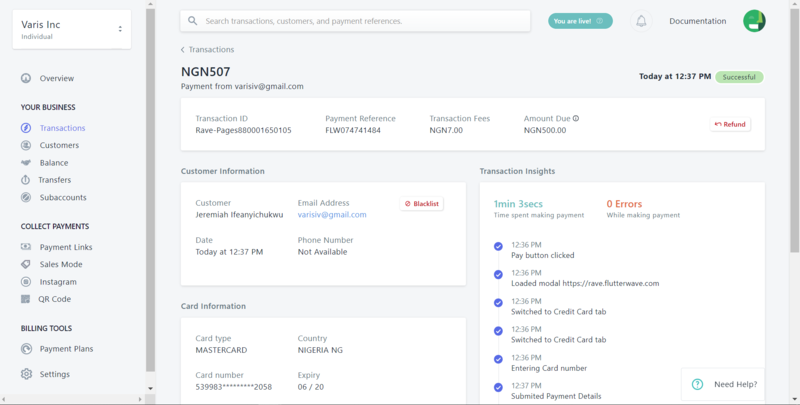 This page shows the details of the transaction and of the customer. It also gives insights into the transaction flow so you can see the transaction process and at what point exactly a transaction failed (if it did). From the transaction details page, you also have the option to refund the transaction to the customer.